Two posts from me within a week? It’s like old times again! I’m sharing a look I wore a while back. 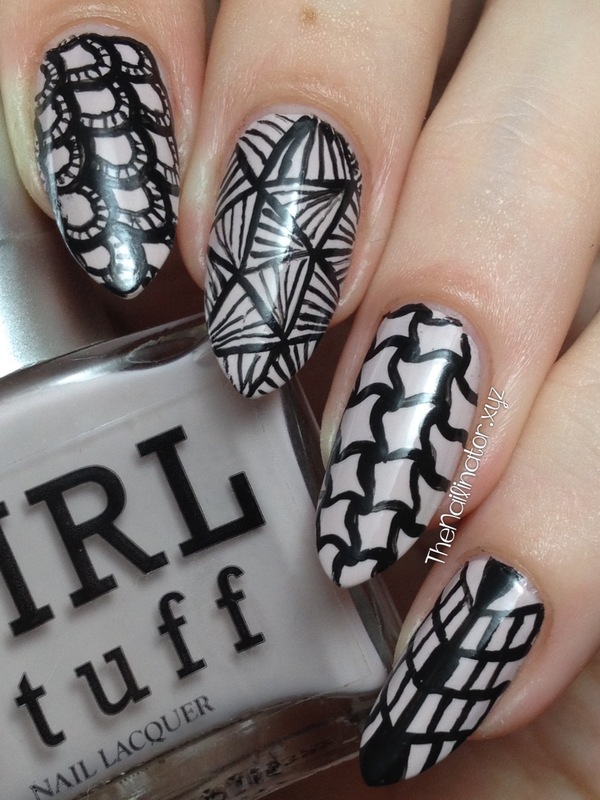 I have recently been on a Zentangle kick and, after making cards and borders for projects, of course the next step was to bring the tangling to my nails! I started with two easy coats of Girlstuff Sophia. 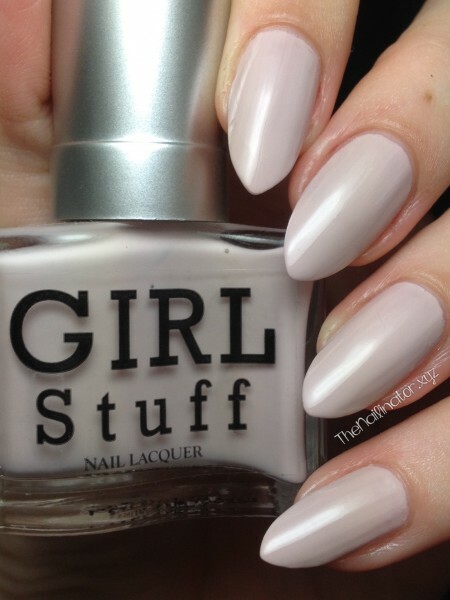 Sophia is a very pretty beige shade with pink undertones. Looking at the bottle, I honestly wasn’t 100% sure it would be very flattering on my skin tone but I was pleasantly surprised. I LOVE it! I was also happy to find that I only needed 2 coats for full opacity and it dried quickly. The Zentangled designs are done with black acrylic paint and a teeny tiny brush. Aren’t they awesome!?!? Here is a shot of Sophia on its own. I love that I’ve been finding some neutral colors that I like on my skin tone. By looking at my polish collection I can see that I really favor dark colors. I find it very refreshing to have a clean neutral tone on my nails from time to time. Neutrals also make great base for nail art. What is your favorite neutral shade to sport on your nails? And have you ever done any Zentangling? Please take a moment to share in the comments. I hope you have a zentastic day!